Amazon’s latest experiment in retailing will see the company deliver groceries to your vehicle at a designated pick-up point at a time you choose, with a minimum of just 15 minutes. The service, dubbed AmazonFresh Pickup, has just launched in beta in two Seattle locations and builds on the company’s existing grocery delivery business. Presently, it’s being tested with Amazon employees, but it’ll soon be available exclusively to Prime subscribers at no extra charge and won’t require a minimum order amount. Once it expands more widely, you’ll be able to order grocery store staples like meats, fresh produce, bread, dairy and household essentials. 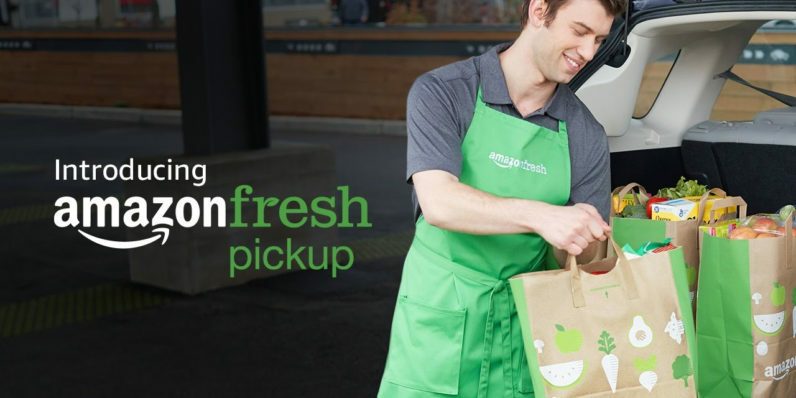 AmazonFresh Pickup is just one of the ways the company is rethinking shopping experiences for its customers. In 2015, it opened up a brick-and-mortar bookstore stocked with titles recommended by online shoppers. Last December, it revealed a concept called Amazon Go, a grocery store that allows customers to purchase items without having to check out or pay before they leave. Unfortunately, it can only support 20 shoppers at a time; any more, and the system that charges customers’ accounts breaks down. If you’re interested in trying out AmazonFresh Pickup when the trial expands, you can sign up here to be notified.